Thank you for your comments on our facebook page about our last post!!!! It means a lot to me. Do you like supermarkets??? Oh well,... we love them! 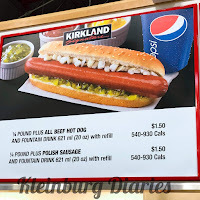 So today I decided to write about the Costco experience and things we like to purchase there. 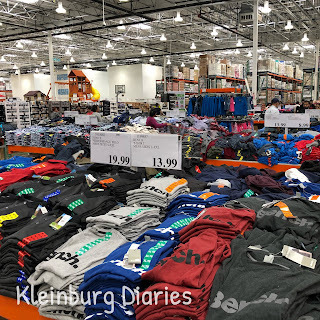 Costco is a store where you buy in bulk, which most of time means savings. A membership is required and needs to be renewed every year. Once you are member you are able buy in store, online and fill up the tank at a Costco gas stations. We save about 0.10 per litre on gas. We became members when we got our car and this was one of the main reasons. 1) Clothing: I always stop by the clothing area to check on the "latest arrivals", prices are reasonable and quality is good. We have purchased some brand name clothes such as Calvin Klein, Levis, Puma, Adidas, Tommy Hilfiger, just to name a few. We also got quite a few outfits/ pyjamas for Isabella there, I mean Carter's, Disney, Fisher Price, Gymboree. 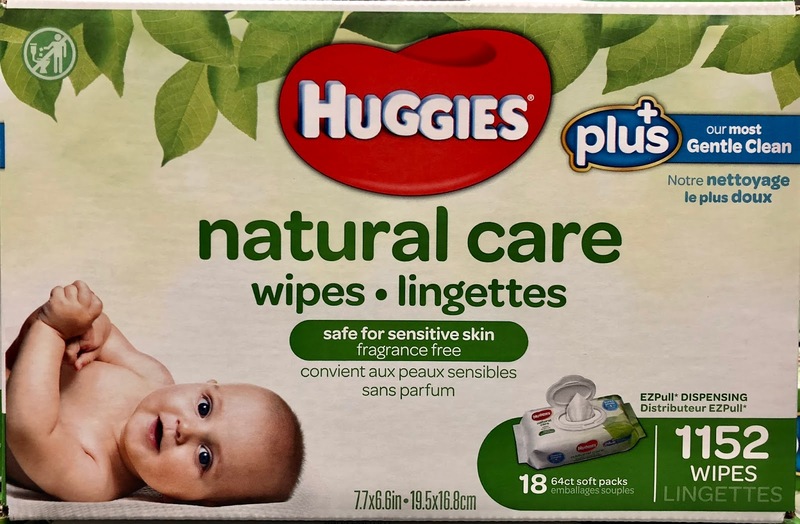 2) Baby Wipes: Huggies Natural Care are my favourite for Isabella. They are fragrance free and the texture is soft and gentle. They come in a box with 1,152 wipes in total, however there packed in18 smaller packs. The regular price for this box is $26.49, but you can find them on sale for $20.99. I also see that Kirkland wipes are pretty popular, but I haven't tried yet. 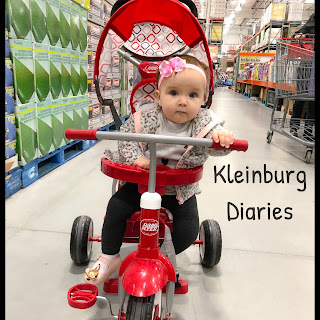 Soon I will write a post with Baby products you can buy at Costco. 3) Rotisserie chicken: Oh my, oh my,... we absolutely love the Roti chicken,... it is already seasoned and ready to eat. Delicious! It is a great option when you don't have the time or don't feel like cooking. I also think it is a pretty versatile choice, since you can eat as is and the following day have it on a wrap or salad. The bird is 1.2Kg and costs $7.99. For us it means at least 3 - 4 meals that we don't have to worry about the protein. 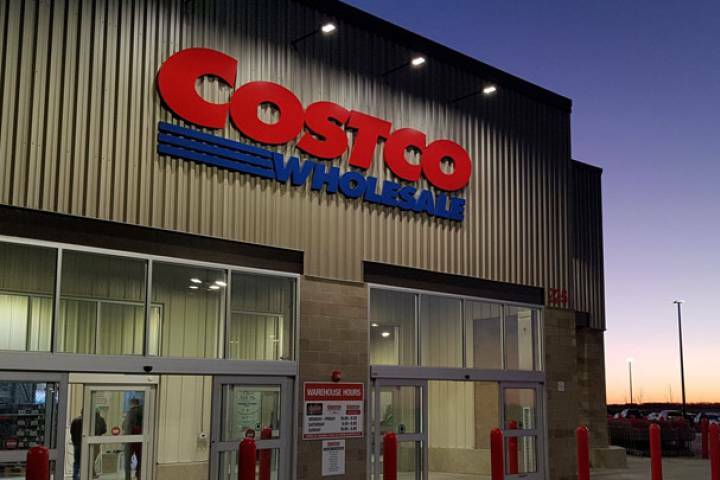 4) Dairy products: We usually buy our dairy products at Costco. Milk is the same price when regular supermarkets have them on sale, so we know that the price is good. We also like their variety of cheeses (brie, provolone, cheddar, shredded, ...). 5) Fruits & Vegetables: We try to keep healthy habits, so eating fruits and vegetables/salads is part of our daily menu. That's why we buy some of the produce at Costco. We usually buy berries, clementines, grapes, lemon, mushroom, asparagus, romaine lettuce, spring mix containers, grape tomatoes, celery, cucumber. 6) Meat: Our go to in terms of meat is ground beef and I always like to have at home. Prices are way better than regula grocery store but be prepare to buy a huge package. Honestly,... it is a lot - remember that our family = 2 adults + 1 baby. What we use to do is divide it into smaller portions and freeze them. If you like to barbecue you will find good steaks for the grill. I would also consider their Salmon. We also got Bella's first Halloween costume at Costco. 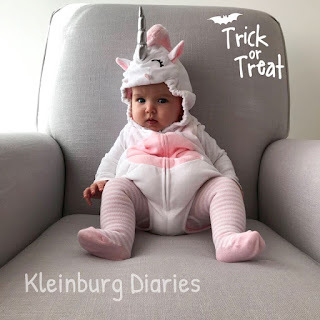 She was an adorable baby unicorn! Costco is very generous with their return policy. If you buy an item and you don't like it you can return and get your money back! Yes,... no hassle, no questions asked. This policy applies to most items, but there are exceptions. Please check your store policy. 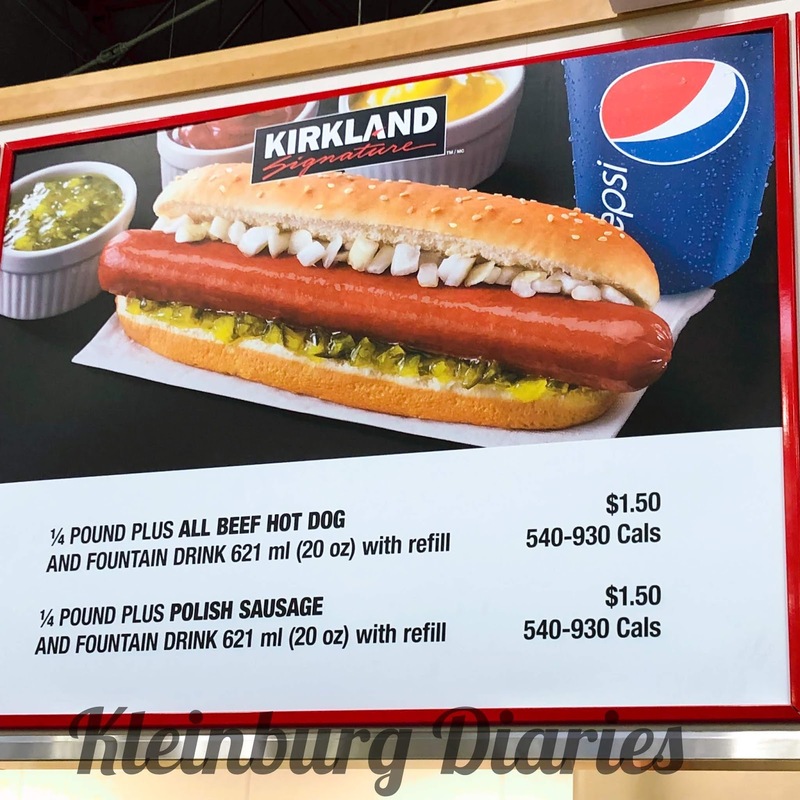 There is a food court in each store where you can find some snacks such as pizza, ice cream, coffee, French fries,... but our favourite is the Hot dog + Pop combo for $1.50. Sure thing it is not the healthiest snack,... but I like it and it's a good deal. Kirkland is their own brand and quality of products is good. We have already tried the yogurt, spices & seasoning (garlic powder is our fav! ), some Deli, batteries, maple syrup. I need to try their baby wipes. I am a couponer and for my disappointment coupons are not accepted at Costco, except if you are an Executive member and receive Costco coupons in the mail. Sometimes they have in store coupons for lightbulbs. And you guys,... have you been to Costco? What are your favourite products? I love Costco as well. I live in the US and I believe we have some similar and some different products. I buy a lot of fruits and vegetables in there. It is easy to find organic options in a bulk for a reasonable price. I recently bought the kirkland breakfast blend coffee pods for my coffee maker. I've been enjoying. It's a mild coffee for my mornings. I have tasted one time the cheese pizza from the food court and it was delicious, plenty of cheese that most places don't have. The Costco gas means good savings as well. Thanks for your post it was great.